Get a gentle workout in and visit with adorable baby goats at the Victoria Lavender Farm. 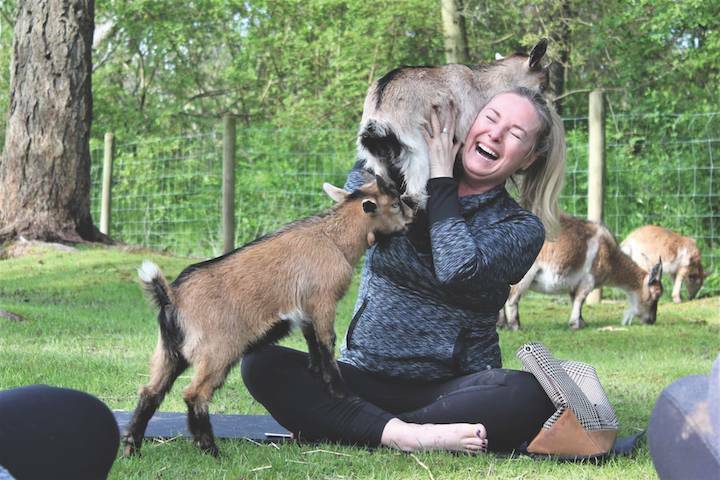 Alan Mayfield admits he wasn’t ready for the demand when he first started goat yoga classes at Victoria Lavender Farm last year. Mayfield credits the activity’s popularity to the “ridiculously cute” baby goats, who truly love the interaction with humans.